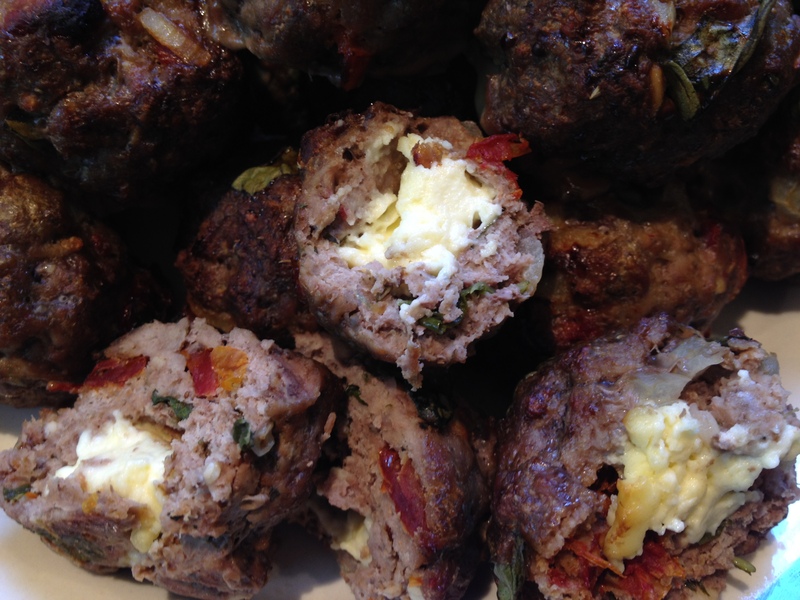 Tasty beef rissoles with a centre of creamy feta cheese. Note Bert lurking at the edge of the frame, hoping one will roll off the plate and into his mouth! 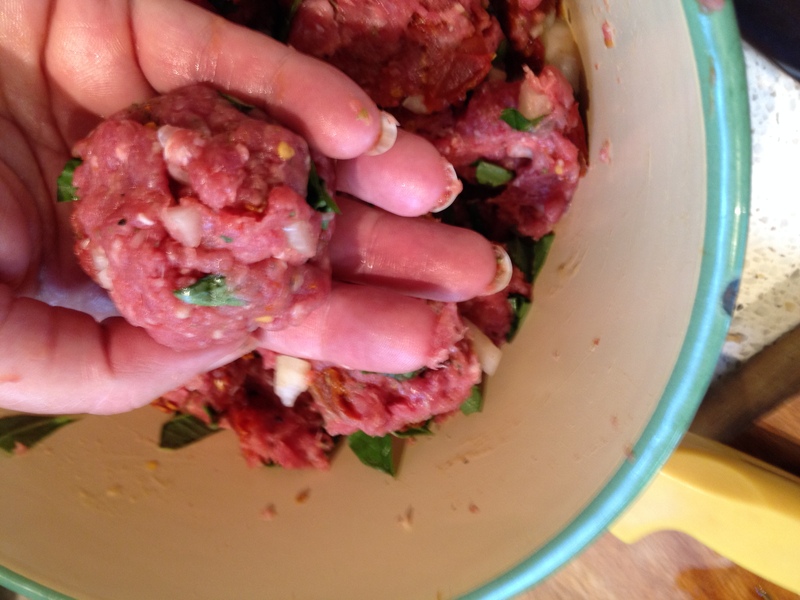 Growing up, beef rissoles (meatballs) were a staple in my family. They are easy to make, economical, and make a filling meal which usually yields leftovers which can be taken for school lunches or sliced to put on sandwiches. I was taught to cook them at a very young age, and by the time I was a teenager I was inventing new twists to make rissoles a little more exciting. This version is fancy enough that you could make mini-meatballs from it to serve at a cocktail party. It’s also baked rather than fried, so there’s less mess and fewer calories. 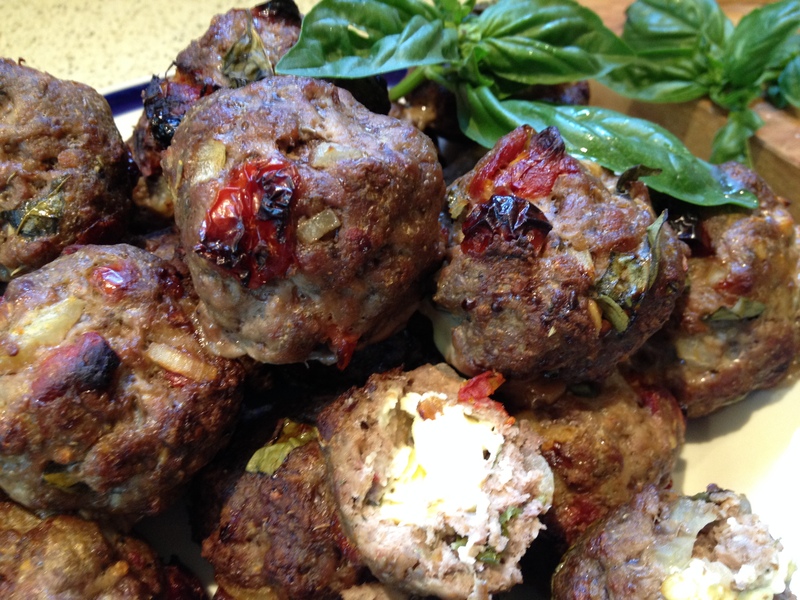 These rissoles are gluten-free, very lean, and are suitable for paleo and low carb diets. Kids usually enjoy helping to make these, and they are simple enough for the least confident cook to enjoy success in cooking them. Best of all, they taste good! 1 kilogram of lean beef mince, 1 egg, 1 cup of drained and diced sundried tomatoes, 1 cup of torn basil leaves, 150 to 180 grams of feta cheese, heaped teaspoon of mixed dried herbs (Italian herbs also work well), 1 onion finely chopped, 4 to 6 garlic cloves – crushed, salt and pepper. Don’t be put off by the bigger quantity of meat. The raw mixture freezes well, and so do the cooked rissoles. Cooked rissoles will also keep in the fridge for four days, so you can enjoy leftovers for future meals. Preheat oven to moderate (160 degree celcius fan-forced or 180 degree oven – 350 degrees fahrenheit). Line a large tray or shallow baking pan with some baking paper for easy cleanup. You may need an extra tray, depending on what size your final meatballs will be, so remember to have one ready, just in case. 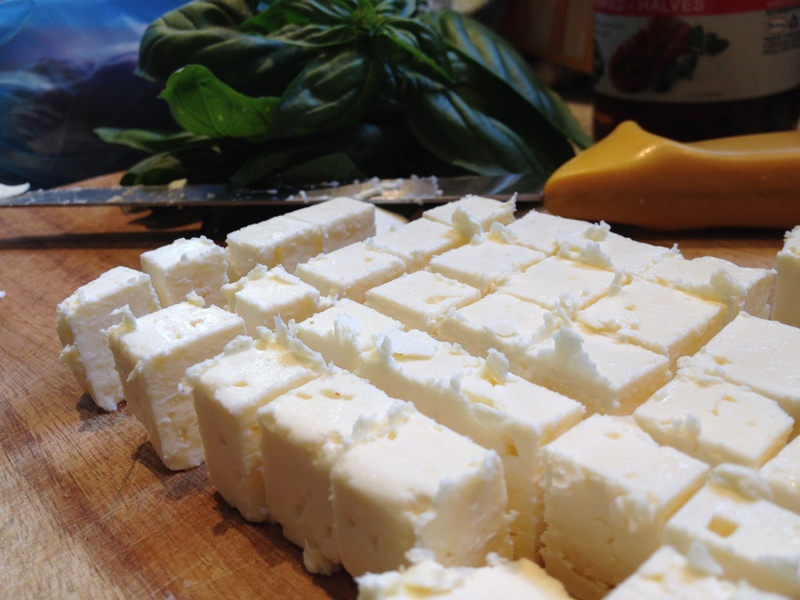 Cut your feta cheese into small cubes. These will end up in the centre of each rissole. Place the mince into a large bowl. 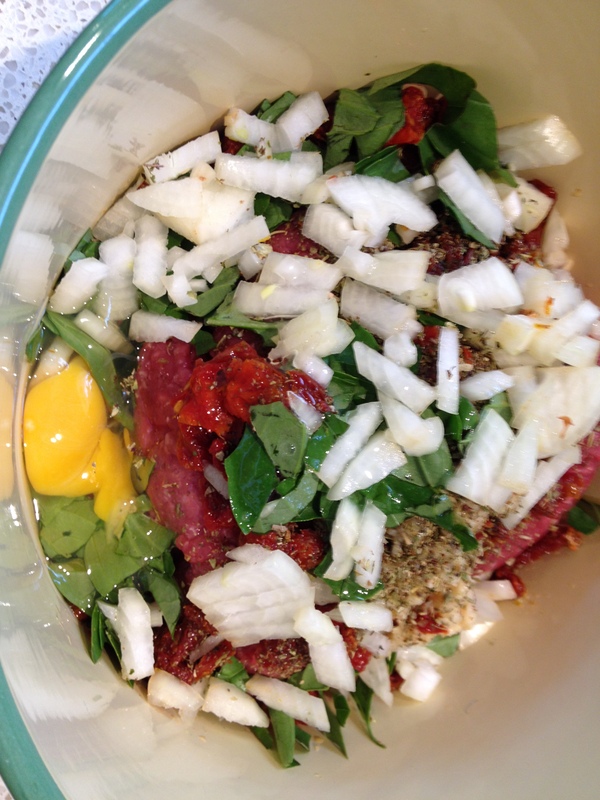 Dump the garlic, onion, basil, herbs, tomatoes and egg in as well. Give a good grind of pepper, and a little salt. The feta is quite salty so you won’t need too much. Mix well. You can use a large spoon but I find it easiest to mix using a clean hand. Take a small handful of mixture and form it into a rough ball and then flatten it with your fingers. 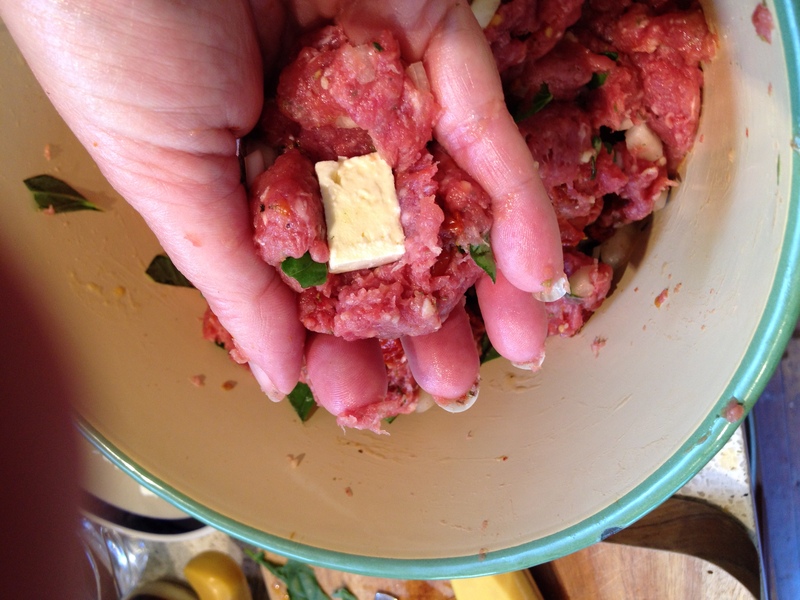 Press a small cube of cheese into the centre of the meatball and then mold the meat over the cheese so that it is completely covered. Place finished meatballs on tray, ready to be baked in the oven. 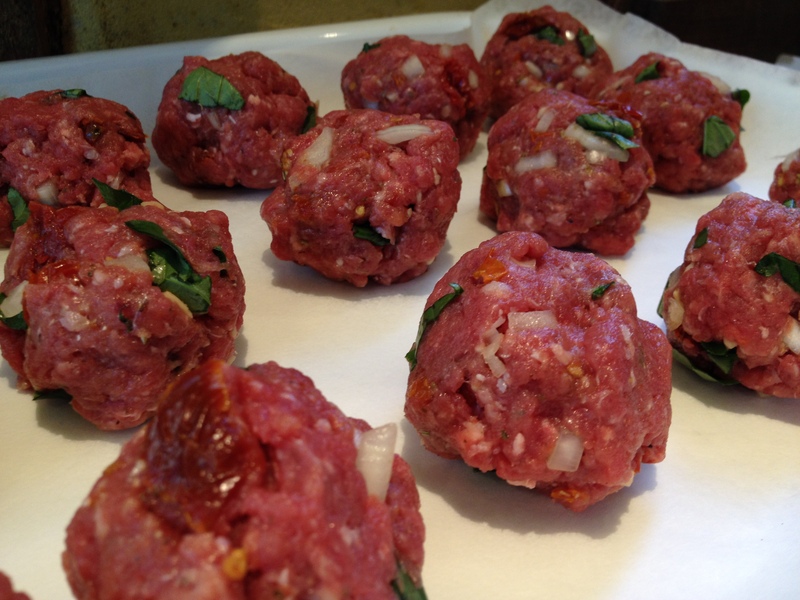 Bake for 30 to 45 minutes depending on size of rissoles. Smaller meatballs cook faster. They will be nicely browned. Don’t be alarmed if they leak fluid as they cook. Fresh mince will give off quite a lot of water. That’s normal and won’t affect the taste at all. 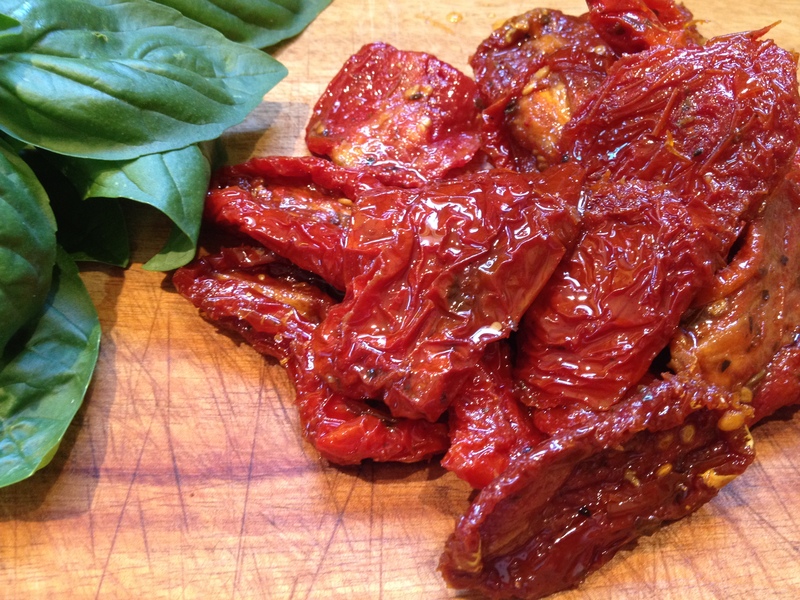 Serve with chutney, capsicum jam, or your favourite sauce (tomato, barbeque, chilli or worcestershire) as well as a salad, seasonal vegetables, jacket potatoes or some mash. When we come in from a hard day of work on the farm we’ve also been known to shove the rissoles between a few slices of buttered bread and devour! I love the surprise of the creamy centre of feta cheese. The cheese will be quite soft when first taken out of the oven, but firms again nicely when the rissoles are cold, making it easy to slice neatly for topping sandwiches or crackers. 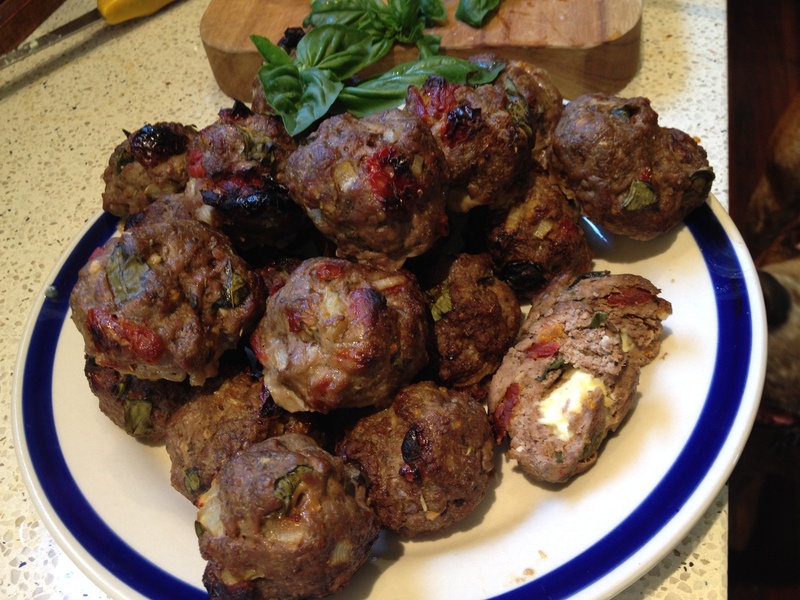 This entry was posted in Gluten-free, Main Courses and tagged baked rissole recipe, easy beef rissoles, easy meatball recipe, easy rissole recipes, economical meal ideas, fresh basil meatballs, gluten-free meatballs, gluten-free rissoles, low carb meatballs, paleo meatballs, paleo recipe, rissole recipe, simple cocktail food by Cauldrons and Cupcakes. Bookmark the permalink. Wow that looks so delicious!! I need to try this! 🙂 Let me know how you go! Just for you I’ll see what I can do! Thank you, I look forward to the cartoons of the cows chewing with interest….